My kids are huge fans of Lego. Lego is a great toy. It's creative and improves fine motor skills. It's socially acceptable for boys to play with Lego through high school. Actually, there are quite a few geeky men lurking around the stores when I've been there, so maybe there is no age limit. for him to keep at school as a carrot for good behavior. and The Captain Underpants Extra-Crunchy Book o' Fun . It might be lame, but we might get fresh copies for him. Ooh, he doesn't have The All New Captain Underpants Extra-Crunchy Book o' Fun 2 . The boys are big fans of both series of books. I can't give a review, because they've read these books on their own or with their father. I can say that the word "fart" appears frequently in the text. Other books that have been read or are on deck around here include: Harry Potter Paperback Box Set (Books 1-7) , The Lightning Thief (Percy Jackson and the Olympians, Book 1) , The 39 Clues Book 1:The Maze of Bones and The Hunger Games . Jonah has a stack of books to read, so I might not get him more fiction. Sometimes I like to pick out classic kiddie books to read to the boys. Even though they are supposedly baby books, the illustrations are so fantastic and the words are beautiful. Last week, we read The Story of Ferdinand , Mars Needs Moms! , and Thomas the Tank Engine Story Collection (The Railway Series) . I'll be really sad when I can't read those books anymore. There have been many requests for video games. A few of those requests may be granted by a grandparent. We'll see. 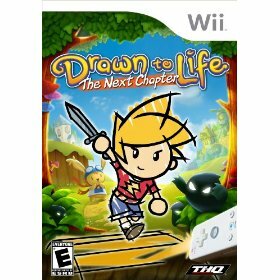 They've asked for Drawn to Life The Next Chapter . Ian has Drawn to Life: Spongebob Squarepants Edition , which he plays endlessly. There's a creative component to the game, so it's not all evil. I think Jonah wants Pokémon Mystery Dungeon: Explorers of Sky . Both boys will get new drawing paper and pencils, because there's always art supplies at Christmas. I'm cleaning out the baby-ish toys from their closets. Almost everything is going, except for a few classic toys that are still working, are occasionally played with, and were seriously loved. 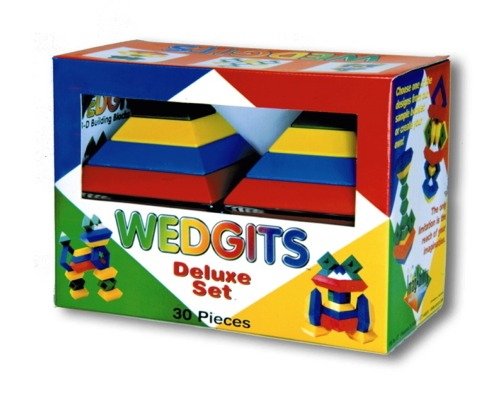 Prime example are WEDGiTS Deluxe Set. I had been thinking about getting a Lifetime 1221 Pro Court Height-Adjustable Portable Basketball System with 44-Inch Backboard , but we've already exceeded the money limits. Our backyard is too small anyway. My in-laws have gotten subscriptions to the National Wildlife Federation magazines for the boys. They're excellent. Melissa and the two oldest girls–13 and 9–have gone simply mad for the Percy Jackson books over the past couple of years. They adore them. Apparently, the ripped-off Rowling elements (the stars of the books are adolescent demi-gods–the modern-day offspring of Zeus and Company–attending a secret private school) quickly give way to bunch of original, fun, thoughtful stuff. I plan to dive into them myself over Christmas break. So, consider this a strong indirect recommendation for them. No love for Legos here, but Captain Underpants and the Wimpy Kid seem to qualify as “Girl Stuff” in our house. I agree with Russell–the Percy Jackson books were fabulous, and I liked them better than Harry Potter. There, I said it. Two girls, one boy, they love Lego (mostly Star Wars), have devoured Captain Underpants (we need new copies, too — the pages fall out too easily) and the Wimpy Kid books, and Percy Jackson was a HUGE hit. I’m not as fond of them as of Harry Potter, but they’re clever, mostly very well-written, and sent my kids back to D’Aulaire again, which was an extra bonus. Thomas! Thomas? Thomas. Thomas!! Thomas; Thomas, Thomas & Thomas. Might I mention my 2 year old girl loves Thomas? (and his friends, especially Rosie, Duncan and Toby (because he’s square!). I blame Laura and her closet cleaning efforts. My answer to this? Dollhouse. And I’m so not a girly girl. 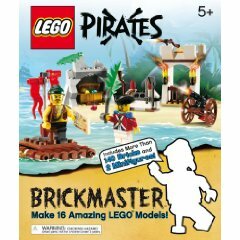 Maybe I’m overreacting…..
We might stay away from Lego this year (let grandma get some), and instead get The Dangerous Book for Boys and maybe some whittling materials (including a safety glove) for the older two (10 and 7). My kids too…really likes Lego and I’m glad he is. It helps the kids to be creative and make me happy when he’s finish it and excitedly give it to me :). It’s really our great bonding.